On the 5th of November, the social event titled “Say No to Drugs” that was conducted by the students of IIM Amritsar at Government Senior Secondary School Bachiwind, near Attari, Amritsar. Our society is severely crippled by the abuse of drugs. 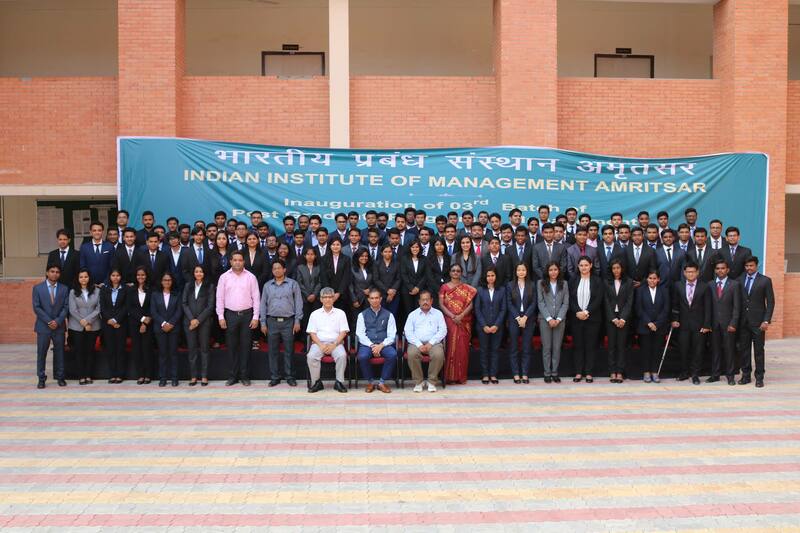 So, the students of IIM Amritsar have committed toward a mission of a drug free society. They have started their journey with a campaign that goes by name “Say NO to drugs”. By educating the children about the ill effects of the abuses of drugs, who are the easiest victims of it, they intend to address the problem at its core. The program spread its wings on 5th of November, 2015, at the Government Senior Secondary School Bachiwind, near Attari, Amritsar. The event started with a casual introductory session between the students of the aforementioned school and the students of IIM Amritsar. The young students of that school were asked about their dreams, aspiration, and hopes. Then they were introduced to the ill effects of drugs, and how that can affect their dreams. After the long term effects of drugs were properly explained to them, the CSR (Corporate Social Responsibilities) division of IIM Amritsar performed a Nukkad (Street Theater) in front of the students depicting the harms done by the abuse of drugs.